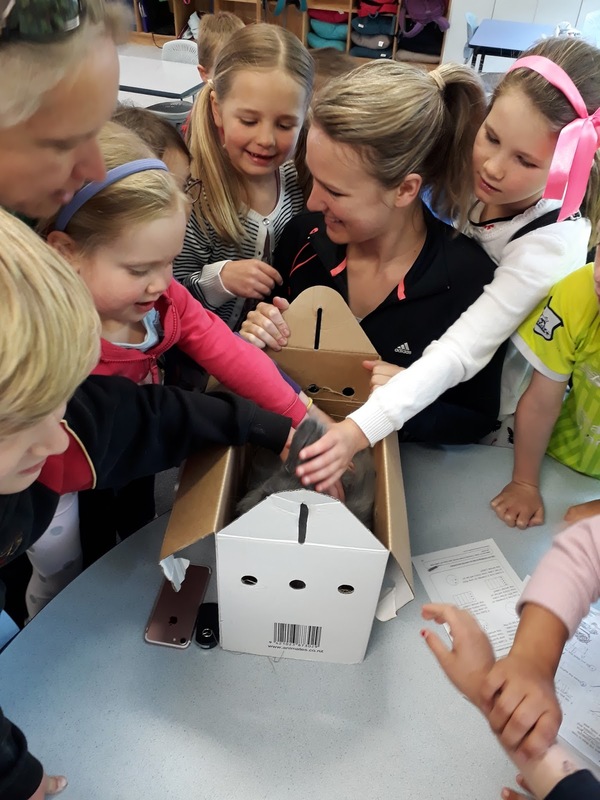 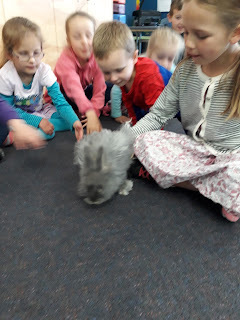 On Friday we were very luck to have Chubby McFluff visit with Maddie's Mum and brother. 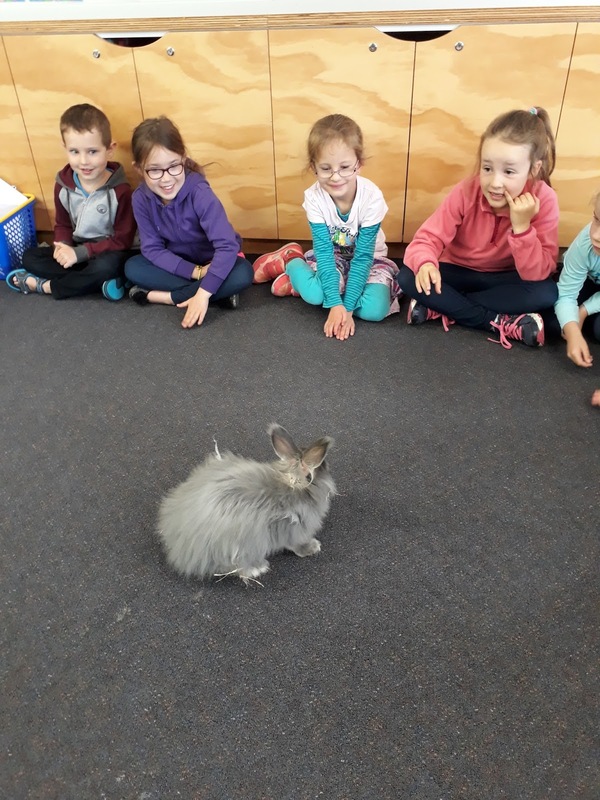 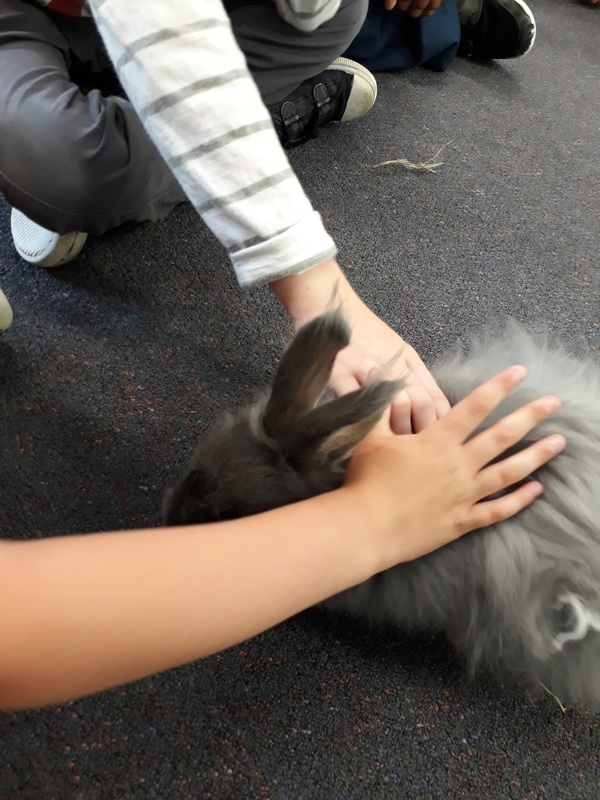 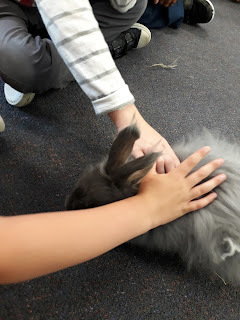 Chubby is a gorgeous Angora cross rabbit. 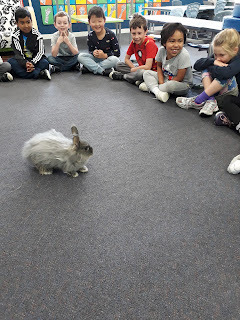 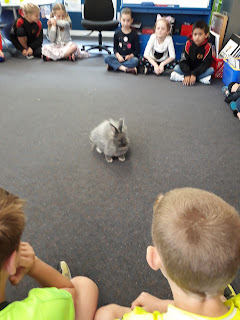 Maddie told us a lot of interesting information about Chubby and how to look after him. 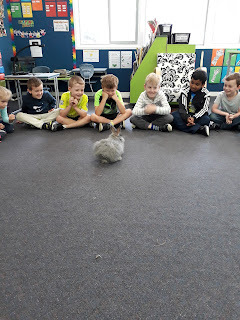 Did you know that a rabbits teeth never stop growing!